Are you looking for an intriguing pattern for a spring blanket? This lovely blankie in triangles and striped rows is approx. 30 x 33 inches, but you can easily adjust the size if you want it bigger. The blanket is in boyish colours, but you can choose any colour you want and use more hues then at the photo. For more free designs every day follow us on Facebook. The Link to the pattern is below. 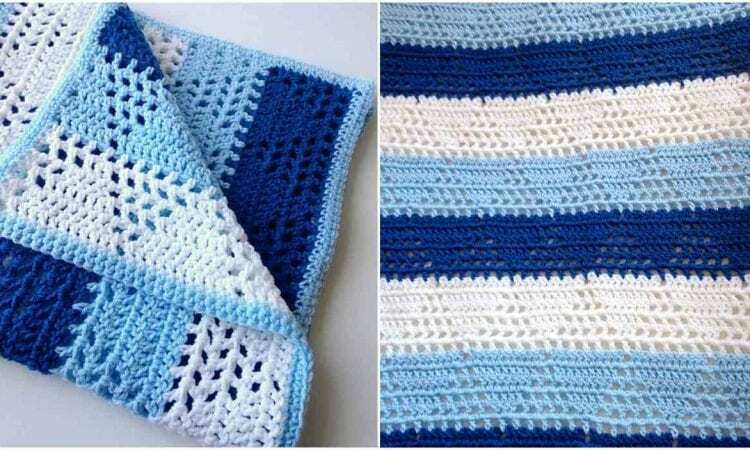 Triangles and Stripes Baby Blanket – visit the free pattern site.